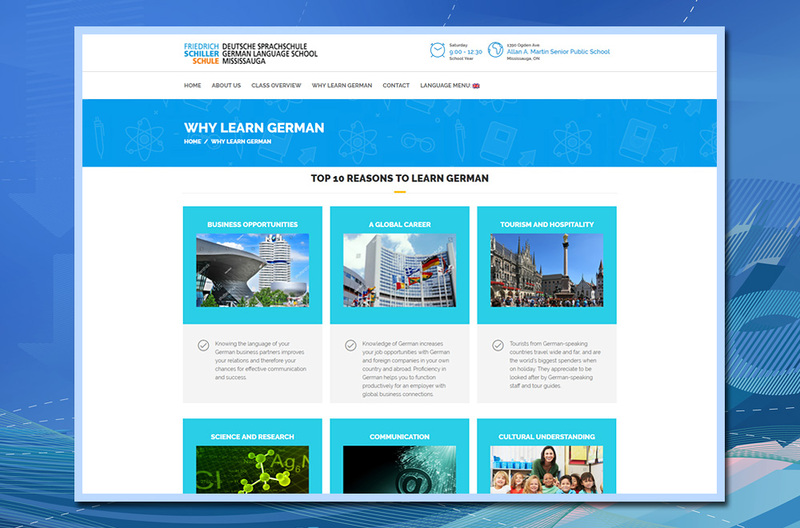 17 Designs developed this dual language mobile-friendly WordPress website www.fschillerschule.com for non-profit German lanugage instruction school Friedrich Schiller Schule. 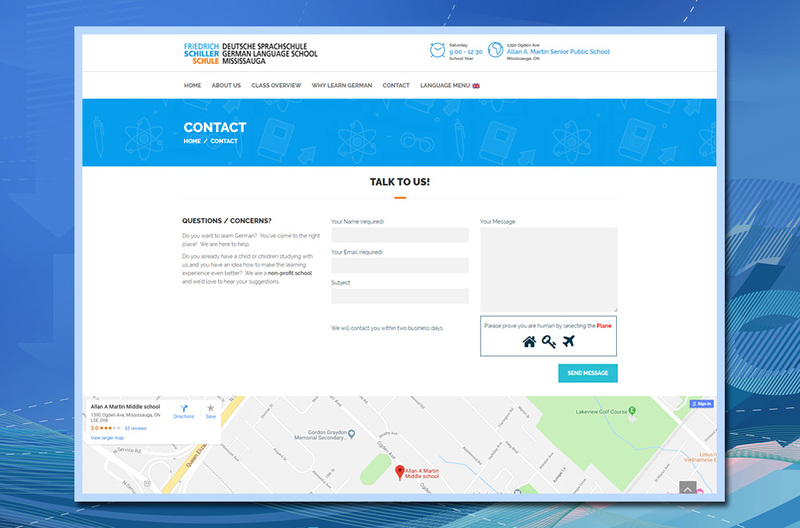 The site includes a Home Page with animated banner, a History Page, a Class Overview Page with PDF registration forms and a Contact Page with submission form and Google Map. For additional interest text and imagery are animated by sliding in from the left or right. 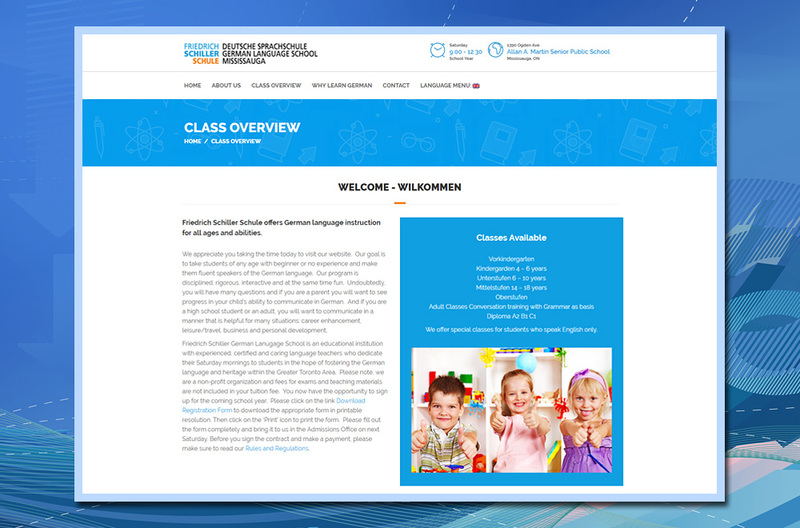 The school is currently raising funds to complete the website and needs to purchase 17 Shutterstock photos. If you can help please contact the school principal Christine Guschewski by email guschewski@ica.net or by phone 647-528-8913. She would appreciate the support!